Department of Labor (DOL) pass 2015 H-2B interim final rule and the 2015 H-2B wage methodology final rule. There are significant changes in H-2B application process. Who May Qualify for H-2B Classification? There are not enough U.S. workers who are able, willing, qualified, and available to do the temporary work. The employment of H-2B workers will not adversely affect the wages and working conditions of similarly employed U.S. workers. Its need for the prospective worker’s services or labor is temporary, regardless of whether the underlying job can be described as temporary. a means by which it may be contacted for employment. H-2B Application Process under the new Rules. 1. Employer must register with iCert portal 150-120 calendar days before the date of need will be required. 2. Employer must obtain a PWD from the National Prevailing Wage Center (NPWC) at least 60 calendar days before it is needed using the Application for Prevailing Wage Determination (ETA Form 9141). The PWD application is available for electronic filing on the iCERT System and filing by mail. 3. 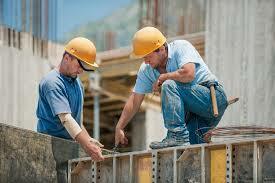 Simultaneously, employer must file a job order and H-2B application – 90 to 75 days prior to the date of need. File a job order with the State Workforce Agency (SWA) – The SWA reviews the job order for compliance with program requirements as soon as possible but no later than 6 business days of receipt. Submit the H-2B application (ETA Form 9142B) with supporting documents and a copy of the job order filed with the SWA to the Chicago National Processing Center (Chicago NPC) using the iCERT System. The Chicago NPC reviews the H-2B application and job order for compliance with program requirements within 7 business days of receipt. A valid H-2B registration number (for applications submitted with dates of need on or after October 1, 2015. 4. Decision and Instructions. Within 7 business days of receipt of the application, the Chicago NPC will notify the employer in writing of the decision to either accept (Notice of Acceptance) or not accept (Notice of Deficiency) the employer’s application and job order. A Notice of Deficiency identifies the deficiencies found by the SWA and Chicago NPC and provides the employer the opportunity to address those deficiencies with the application and/ or job order. ◦ Each notification will also provide next steps for the employer to take. conducting any additional recruitment, if directed by the Certifying Officer. The Certifying Officer in the Notice of Acceptance will specify a date for the employer’s initial recruitment report. The Certifying Officer will place a copy of the SWA job order on the iCERT Public Job Registry. • After receipt of the initial recruitment report the Chicago NPC will determine whether to certify or deny the application and issue the final determination. The final determination will be sent to the employer and, if applicable, the employer’s attorney or agent by means normally assuring next day delivery. The employer completes the footer of Appendix B and submits the certified ETA Form 9142B with a copy of Appendix B with the petition package to the USCIS Service Center. The original Appendix B is retained in the employer’s retention file. The employer is obligated to continue to update the recruitment report and prepare a final recruitment report. The updated report need not be submitted to the Department, but must be retained in the employer’s retention file and made available in the event of a post-certification audit or upon request by the Department. • The employer must also continue to accept referrals of U.S. applicants until 21 days before the date of need. Employers may request redeterminations from the Certifying Officer on partial certifications and denials. Employers may appeal for administrative review of Notices of deficiency, partial certifications, denials of labor. H-2 B Cap: There is a statutory numerical limit, or “cap,” on the total number of individuals who may receive H-2B non-immigrant classification during a fiscal year. The Congress set up a numerical cap to 66,000 which are divided between the first half of the fiscal year (October 1 through March 31) and second half of the year (April 1 through September 30). Unused numbers from the first half of the year could be used during the second half of the year. However, the unused visas from one year can not be used for the next year. The employer may apply for multiple beneficiaries, if they do the same type of work, on one application. Nationals from only some eligible countries can participate in t H-2B non-immigrant worker programs. Full time work has been expanded from 30 hours per week to 35 hours per week. New pre-filing process allowing the employer to “register” its temporary need for a specific number of job opportunities that will be sought in the first year of registration. DOL may approve an employer’s H-2B Registration for a period up to 3 consecutive years. Recruitment is conducted after the application is accepted for processing. Application and Job Order Filing now must be Simultaneous; must occur no more than 90 and no less than 75 calendar days before the date of need, unless there is an emergency. Proof of Agency. Where an employer is represented by an agent, any application filed by an agent must be accompanied by an agreement demonstrating the agent’s authority to act on behalf of the employer in the labor certification process. Employer is required to update the recruitment report throughout the referral period. Employer is required to accept referrals and hire qualified U.S. workers until 21 days before the employer’s date of need. Emergency Filings for good cause shown. Employer must now cover the cost of visa processing, border crossing, and other related fees within the first workweek. Some Transportation to and from the place of employment must be covered by the employer. Are staffing companies permitted to participate in the H-2B program? Any business enterprise that meets the definition of employer, possesses a valid Federal Employer Identification Number (FEIN) and has a temporary need for non-agricultural services or labor can qualify for a temporary nonagricultural labor certification. Will I be required to submit a signed application bearing the original signature of the employer when filing under the H-2B program? The H-2B regulations require that the ETA Form 9142B filed with the Chicago National Processing Center (NPC) must bear the original signature of the employer and that of the employer’s authorized attorney or agent, if applicable. When filing an application electronically, the iCERT account holder must upload a scanned copy of the signed and dated Appendix B and retain the original in its file. The scanned copy with the employer’s signature and, if applicable, that of its attorney or agent on the Appendix B, as appropriate, satisfies the original signature requirement. Where an application for temporary labor certification is granted, the employer and, if applicable, its attorney or agent will be required to sign and date the footer of the retained Appendix B. Where do I send the job order? The employer’s original job order must be sent directly to the SWA serving the area of intended employment where work will be performed. Where the job opportunity involves work in more than one State within the same area of intended employment, the employer may send the job order to any of the SWAs with jurisdiction over the worksites. When submitting the job order, the employer must inform the SWA that the job order is being placed in connection with a concurrently filed H-2B Application for Temporary Employment Certification. Concurrently, the employer must send a copy of the job order to the Chicago National Processing Center (NPC) in its Application for Temporary Employment Certification filing package. Where multiple States are involved, the employer must identify the SWA receiving the job order on the job order copy submitted to the Chicago NPC. How long must the job order be posted? The regulations require that each SWA in receipt of an employer’s job order keep the job order active from the date it receives the Notice of Acceptance from the Chicago NPC approving the job order. In addition to intrastate and interstate clearance, upon the acceptance of the job order and application, the Department will place a copy of the job order on its Electronic Job 2 Registry. Wherever posted, the the job must remain active until 21 days before the employer’s start date of need. What content must the job order include? An employer’s job order must contain the material terms and conditions of employment relating to wages, hours, working conditions, worksite and other benefits as well as the assurances and obligations required under the H-2B regulation. See H-2B Job Order Checklist designed by Department of Labor.